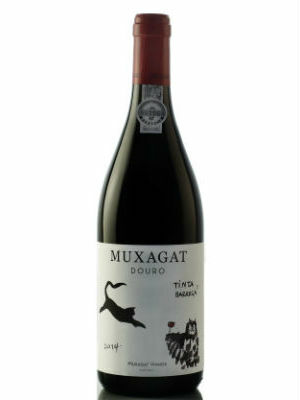 Muxagat is a well-known producer of the Douro Region and is located in Meda, in the Douro Superior. It’s a small winery with a few years already. 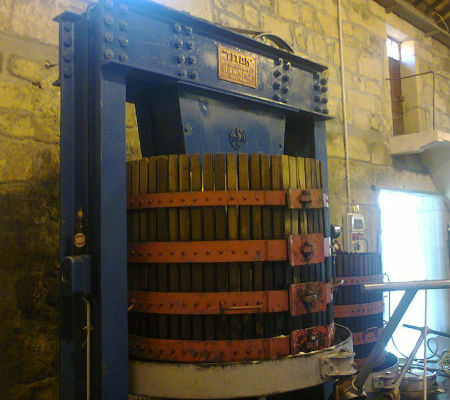 It has been being slightly adapted to modern times but the wine production is still done above all by traditional methods and using even some old techniques that are still very useful. 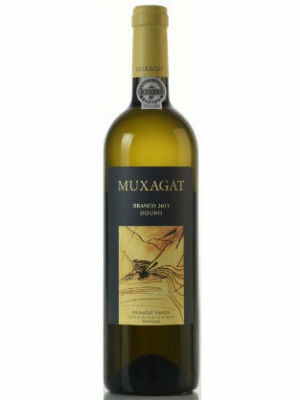 The white and red grapes come from the Muxagata vineyards and from some others of the region with schistose land and sometimes ruthless. Extreme weather and extreme temperature ranges that the vineyard appreciates. And they are still handpicked and transported with the help of the precious animal traction. 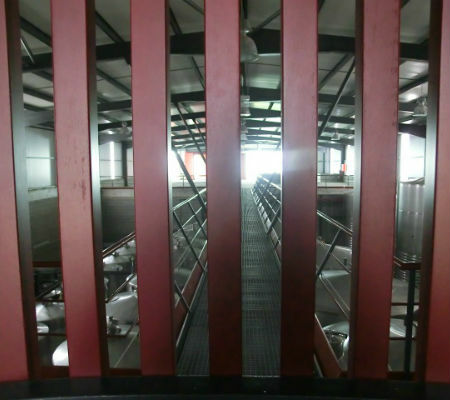 Other grapes arrive at the winery in small plastic boxes, which are placed in a refrigerator container to stabilize the temperature before being pressed. They are then pressed in the old vertical presses providing high quality, or foot treaded in the granite lagares. Always the tradition in this cellar, which turns out to still have great functionality. After removing the musts the wines go to stainless steel tanks or oak barrels, where they then age for the necessary time before being bottled. They also use wooden casks and concrete eggs, a modern technique that is being tested with good results. In our last visit we tasted a few wines that lived up to what was expected of them. The Rosé 2014 showed an appealing pink color with intense strawberry and raspberry aromas aromas and a soft, elegant mouth strike but with enough structure, somewhat exotic. Very nice with and elegant finish. Then it was the White 2013 with white pulp fruit notes, pear, peach and plum, lightly floral and very mineral. 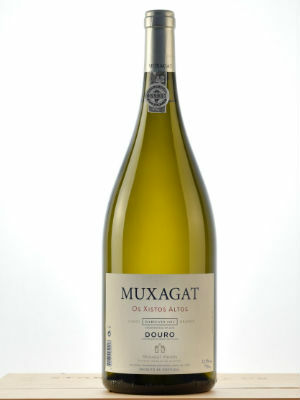 In the mouth has intense acidity, much volume, citrus and mineral notes with a long and safe finish. 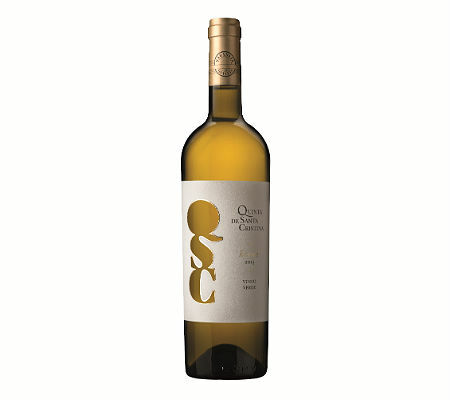 The Os Xistos Altos 2012 is a very special white, has white fruit, some floral, some minerality with smoked touch. In the mouth it is mineral, almost salty, complex, very elegant and with an excellent acidity. Great ending. 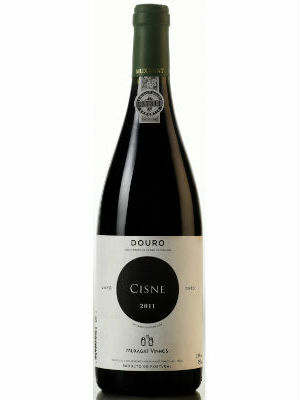 The Cisne red 2011 is a concentrated wine, with floral notes and black fruit, mostly blueberries. The palate is quite elegant, with some ripe fruit, round tannins, very thin and a long finish. Then it was time for the Tinta Barroca 2014 made with grapes from altitude vineyards, 100% Tinta Barroca. Shows aromas of raspberry, cherry and it’s very fresh in the nose. The palate is velvety, enveloping, little touches of spices, beautiful volume and very long finish. 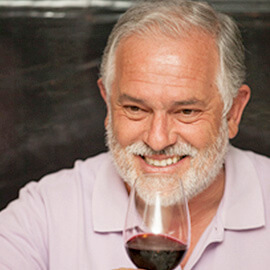 António Pinto is a successful businessman in the fields of electricity and electrical appliances who fell in love for the wine production in a family property in Celorico de Basto. Supported by his wife and daughter he started making wine in 2004. 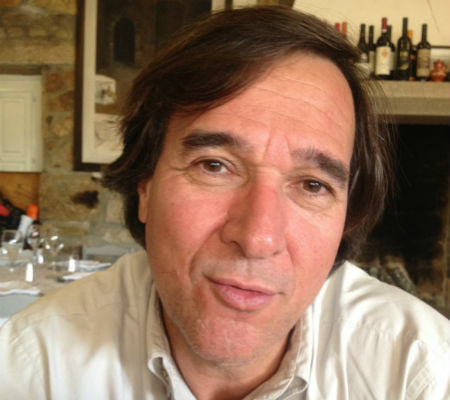 Always with the collaboration of the oenologist Jorge Sousa Pinto that has extensive experience throughout the Vinho Verde region. 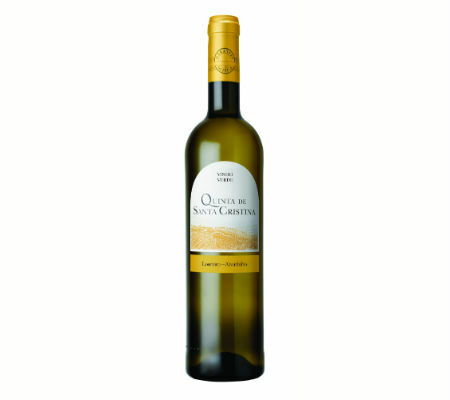 The wine company is called Garantia das Quintas and its main brand is Quinta de Santa Cristina. The wines initially marketed were solely a white and a red, but quickly appeared more varieties, both by the producer’s and oenologist’s will and by the market request. And it wasn’t before long that the sparkling wine appeared, which is today a reference in the region. 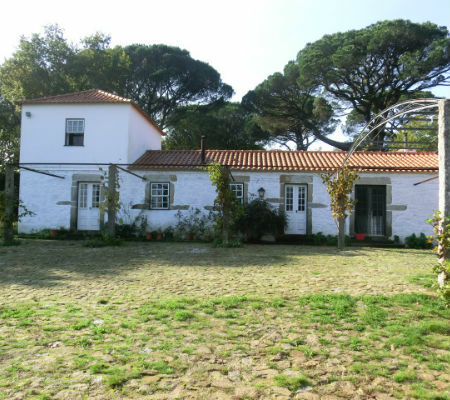 In 2013 they moved forward with the construction of a new winery right next to the residence that they have there and pratically in the middle of the vineyards with the Senhora da Graça hill flanking. It could not be prettier! 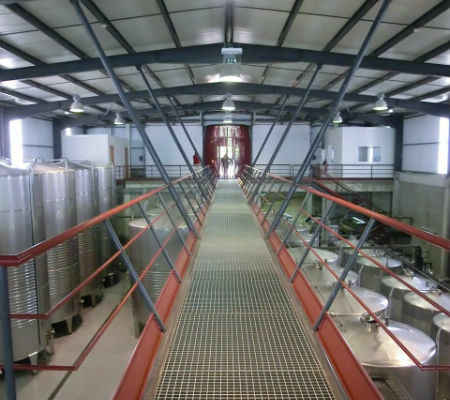 In a recent visit to the new winery we were able to experience its enormous functionality alongside a nice aesthetic, lacking only a tasting room that will surely have soon. 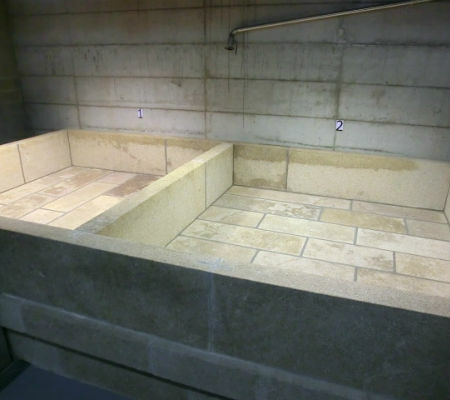 In addition to the latest technologies, including the cold, they also constructed a granite lagar where some of the wines are still foot treaded, maintaing the tradition. 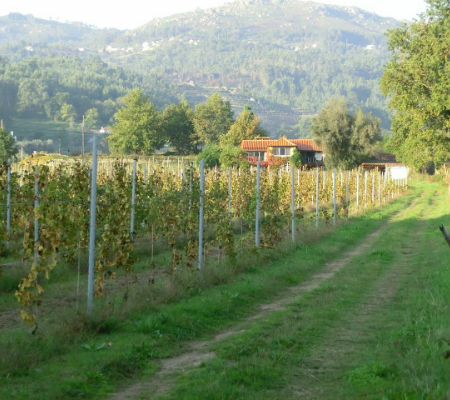 The grapes come from the 40 hectares of vineyards, most of which in its surroundings but at different altitudes producing several grape varieties of the region such as Alvarinho, Arinto, Avesso, Azal, Trajadura and the curious and unique Batoca, the only one producing it. But we’ll get into that later. 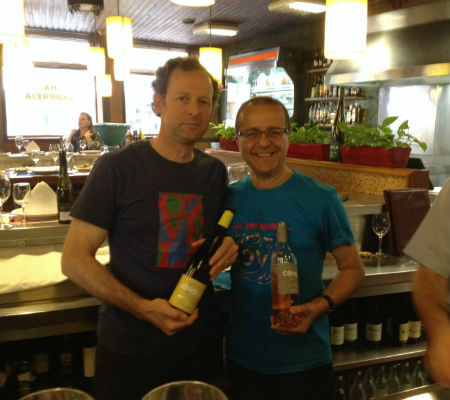 After visiting the modern winery and glimpsing the immense vineyard around, the producer invited the visitors to follow him to a restaurant of the region, “Sabores da Quinta”. Over there the producer, his daughter, the oenologist and the viticulturist guided us on a journey through the main wines while making interesting connections with the food, a very didactic tasting. After all, the wine is meant to accompany the food! We started off with the base wine from 2015 composed of Arinto, Azal, Loureiro and Trajadura. Simple, very fresh and easy drinking. Quite fresh. Then came the Alvarinho Trajadura 2015, a combination of two varieties that are already used to one another. A wine full of fruit but without exaggeration, fresh and well-balanced acidity, very gastronomic and a good match for the snacks that started coming to the table. 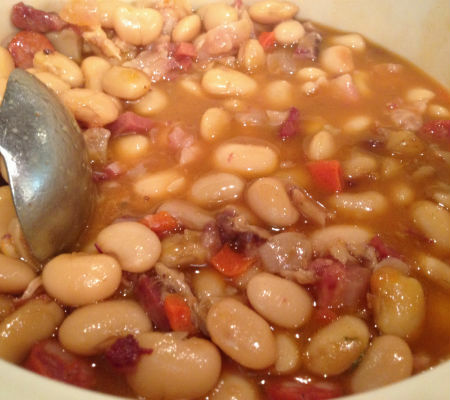 Ham, alheira, black-eyed peas salad, cod’s “pataniscas”, “feijoada” and liver cooked in onions also connected very well with the interesting Alvarinho Loureiro, showing the best of both grape varieties. Fresh, somewhat floral and tropical, excellent acidity, a surprising connection. Then it was time for the Alvarinho, one of this producer’s classics. A wine full of elegance, thin, with slightly fruity and tropical notes, bulky with a long finish. Another wine matching very well with the snacks, but also with the roasted cod in the oven with roasted potatoes and plenty of olive oil that had arrived at the table in the meanwhile. 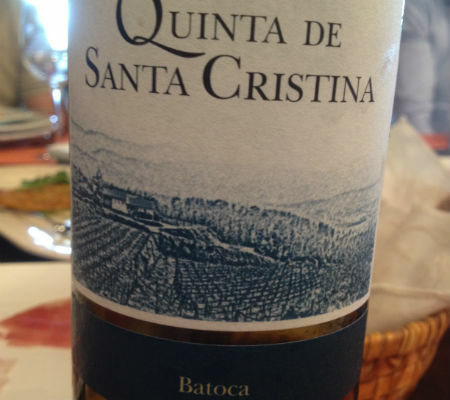 But the big surprise of the afternoon was a white wine made from a rare grape variety of this sub-region Basto, the Batoca. And this producer is its sole holder. The first bottling was from the 2015 vintage. Full of elegance, fruity on the nose and with some intensity, very balanced and fresh. A beautiful surprise. 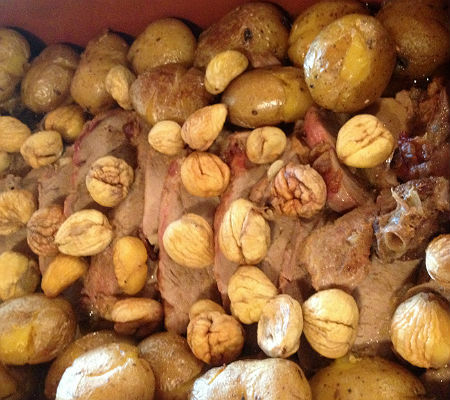 We were already enjoying the roast beef in the oven with nuts and oven rice, when it was served the Santa Cristina white Reserva 2014 made with some of the Quinta’s varieties, of which were chosen the best, with slight wood aging. Although it has some tropical it also features dried fruit, has a great structure, it’s very elegant in the mouth, silky with a great finish. 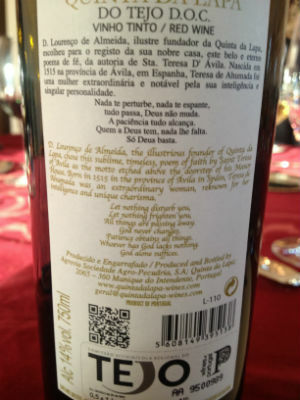 Before the desserts we tasted one of the Quinta’s sparklings, the Bruto white 2013 made with Arinto. 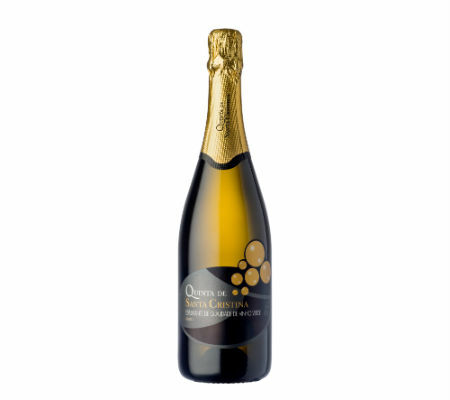 With very thin bubble, showing itself very citric, full of freshness, with some toast in the mouth, elegant and seductive. A beautiful ending. 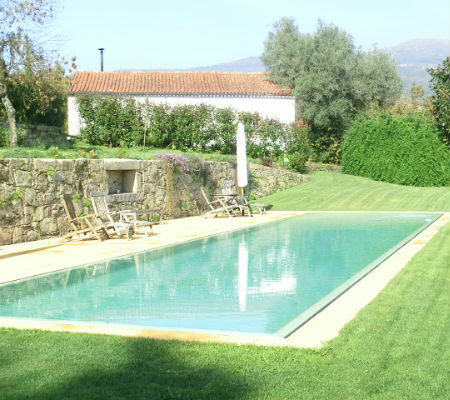 Visiting Quinta do Vale Meão is always a pleasure, a delightful adventure even. It’s one of the Quintas that belonged to D. Antónia Adelaide Ferreira (one of the most known), which has now for many years belonged to her great-great-grandson Vito Olazabal, a man of the Douro with deep knowledge of the region and passionate for its land, vineyards and wines. 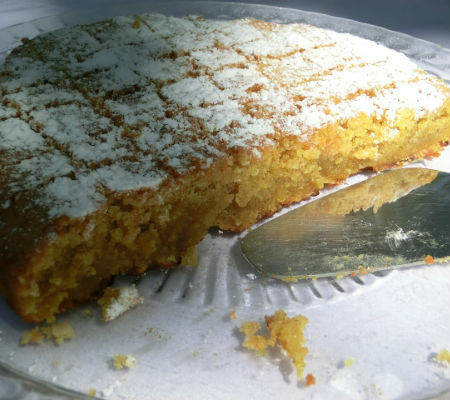 He’s married to Luísa Nicolau de Almeida (daughter of Fernando Nicolau de Almeida) who is also viscerally connected to the Douro. Their sons live and work there, Xito works in the vineyards and winemaking, Luísa in the hard task of marketing and selling those nectars of excellence. 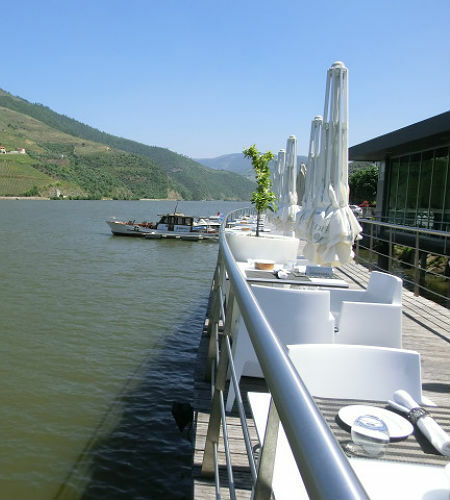 The Douro runs in their veins; they’re a family with “patine” … On a recent visit, at the time of Encontros do Douro Superior, we were greeted, as always, with the simplicity and friendliness, quality and good taste typical of them. In a new area by the pool, parents and daughter (the son was abroad at the time) presented us with the best, as usual. The landscape, right there in front of us, spoke for itself and it is very difficult to describe: the grass field right next to the pool (where the kids play football), the vineyards extending to the river and, at last, the morphology of this superior, bright, full of light and unique Douro. Then it was time for a commented tasting, led by Vito. 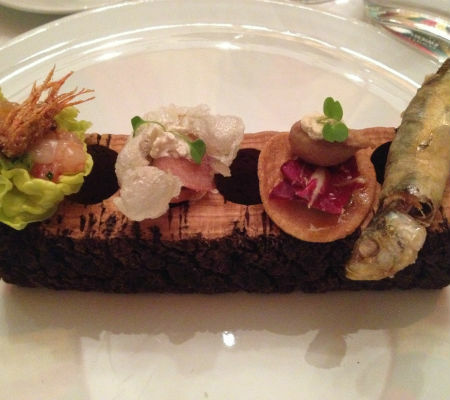 The tasting was accompanied by several snacks that were spread across the table, at our disposal. The Meandro white, quite fresh, was already running through the glasses, and the easy talk alternated with the superb landscape that is possible to experience there. This white is great, the nose is somewhat exotic, attractive, full of freshness and elegance, followed by a palate that combines freshness and acidity, with ripe white fruit and citrus notes leading us to a slight minerality. Always feels like having another glass. 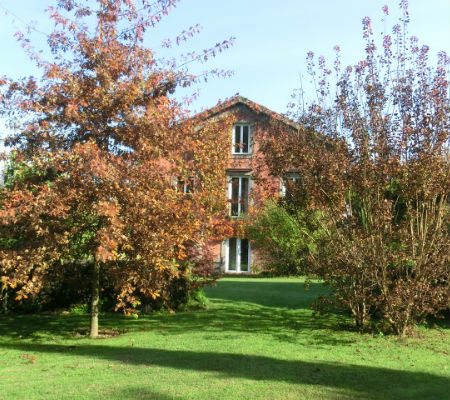 Already in conviviality mood, we were invited to go up to the huge terrace that runs alongside the house, with huge trees that provide a soothing shade to the sun’s inclemency. There, next to the swimming pool’s overlooking railing, the tables were set and well-equipped for the meal. 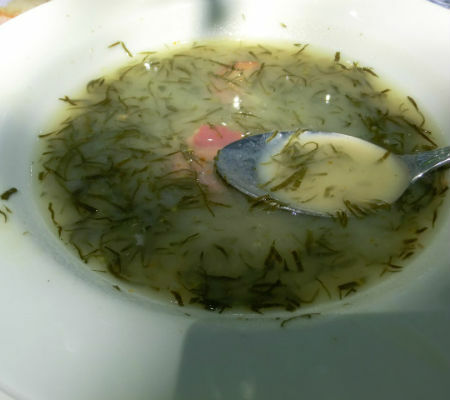 Regional bread, some curious crispy orange peel strips and a traditional “Caldo Verde” exhaling an amazing aroma, delicious. 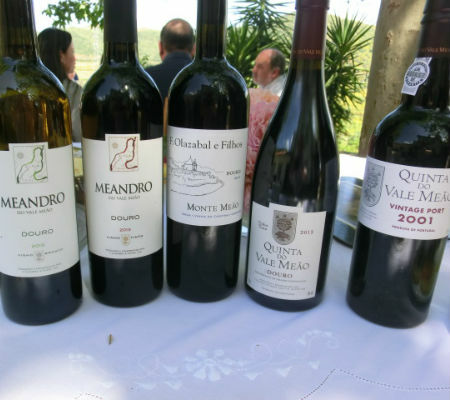 Then it was time for the Meandro red 2013, and the big news, the Monte Meão 2013 made from grapes of the Cantina vineyard, with the grape variety … Baga! That’s right, Baga in the Douro Superior!! The wine is great, full of structure, intense, with claw, very balanced and excellent acidity, a nice surprise. 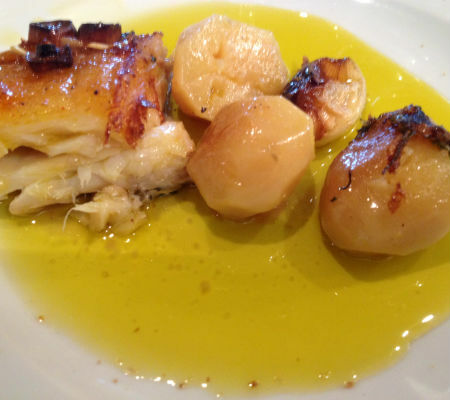 As a main dish we savored roast cod in the live coal, chipped, with baked potatoes and egg, olives, sprinkled with parsley. To accompany the main dish, a tomato salad, another of vegetables and a “porretas” salad (a salad made with green stalks of leeks, very tasty). By then we were also already drinking the Quinta do Vale Meão 2013, a delicious bomb, full structure, bulky, very fruity, intense, an extraordinary wine, one of the great reds from the Douro Superior. The conversation went on very interesting with humor and good mood of the hosts. With so many other stories to tell, if we could stay there until the sun has set. But it was time for the end of the meal, with a nice cheese board and a delicious squash and almonds cake. Many continued in the reds, others went for the Port Vintage Vale Meão, from the year 2001! Wow! A delightful interpretation of what a great Vintage is. A perfume, an essence, full-bodied, vibrant acidity to balance the set, that’s all we need for one last peek at that landscape that never tires… At the time of parting, one last look back, to the huge gate that displays with gallantry in wrought iron: Quinta do Vale Meão – Antónia Adelaide Ferreira – 1894. The Brites Aguiar house is located close to one of the Douro’s wine-producing villages, Trevões, with its vineyards throughout the hillsides of Rio Torto benefiting from a fantastic terroir, which is shared with an olive grove, a cherry grove, a walnut grove and chestnut grove – very typical rural surroundings of this Douro region. It’s property of a family that has always been connected to the land. In 2002 they stopped delivering their grapes to the Adega Cooperativa and started working them in their own winery.So, the grapes grown in the 45 hectares of vineyards of the grape varieties Touriga Nacional, Touriga Franca, Tinta Roriz, Tinta Amarela, Tinta Barroca and Tinta Francisca, began producing the wines of this house, with its own brands, “Brites Aguiar” and “Bafarela“. Being a family business, António Domingos (Tomi to the closest friends) abandoned the idea of going to medical school and has now dedicated over 30 years entirely to the land and follows in the footsteps of his maternal grandfather. Between 1986 and 2004 he fully reconverted the vines so that they could be mechanically worked. 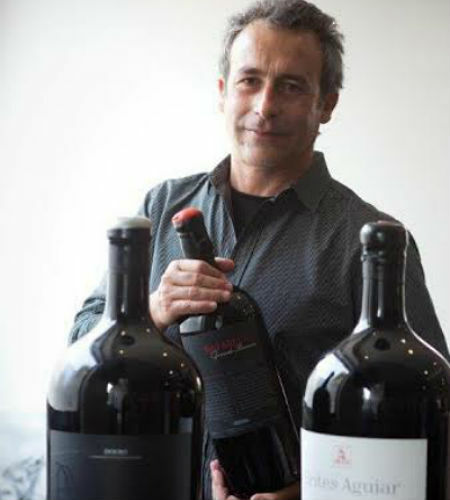 He made his first vintage in 2003 and since 2004 he has been working with 2PR, from António Rosas and Pedro Sequeira – something that proved to be a right decision for they have been having great success. So, in 2004, the first Brites Aguiar is born, as well as the first wine with 17%. From the year 2008 onwards comes the Grande Reserva Bafarela, a blend of Touriga Franca, Touriga Nacional and Tinta Roriz. It ages in 500 liters’ barrels that are used 3 times. 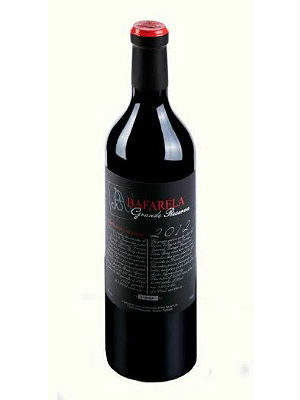 Recently they decided to make a vertical tasting of the Grande Reserva Bafarela, which had never been made. 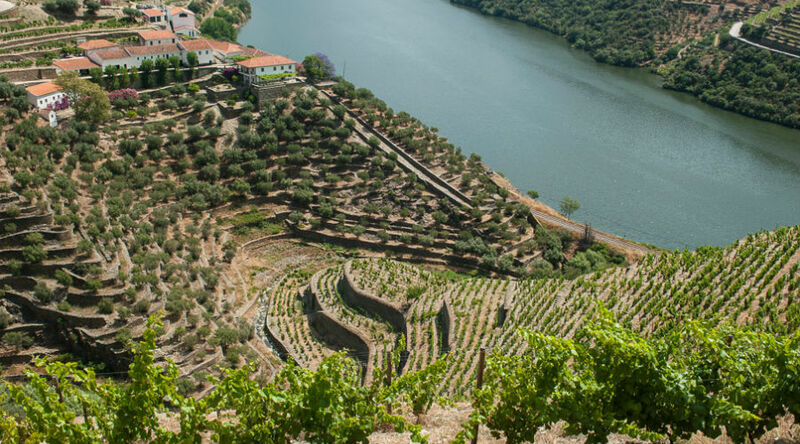 And it was in the Douro environment that this tasting was carried out, in the presence of Tomi and his wife, and the winemakers António Rosas and Pedro Sequeira. The venue, D.O.C., could not be more appropriate, literally over the river and with that sweeping landscape that fills the eyes and never tires. The wines were timely open and at the recommended temperature all showed an intense but elegant red color. They have a common profile, elegant yet consistent with delicious chemical notes that give them some rusticity. 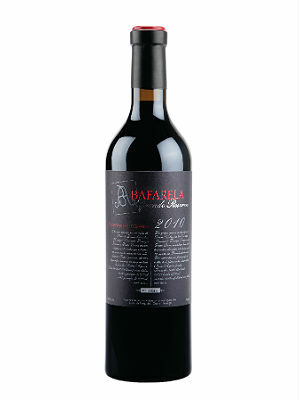 We began the tasting with the Grande Reserva Bafarela 2008 that has 14.5% alcohol. The nose shows some notes of evolution, some spices and hints of red fruit. 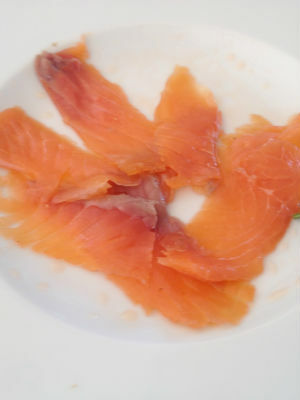 In the mouth it has good acidity, it is elegant and has a simple but consistent structure. The age shows but drinks very well. 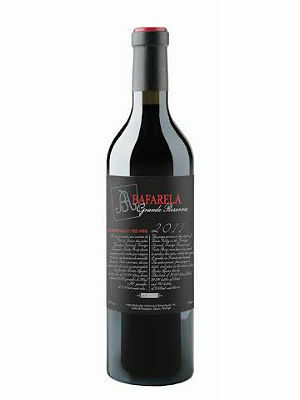 The Grande Reserva Bafarela 2009, also with 14.5%, is velvety, full of elegance, with notes of wild plants, rock rose, very fresh. 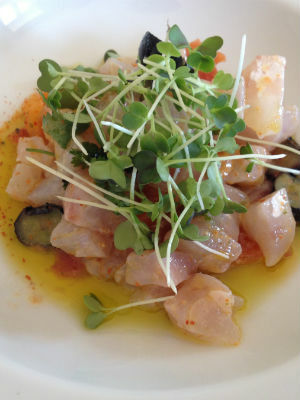 In the mouth has volume, it is fresh and has excellent acidity, very persistent. It features notes of spices, fine tannins, and dry and great complexity. A serious wine. 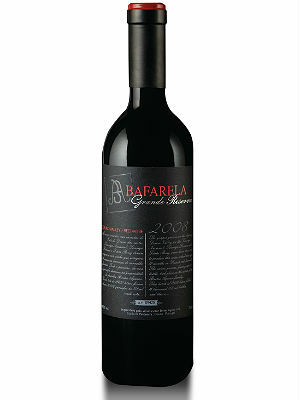 Next up was the Grande Reserva Bafarela 2010, still with 14.5%, very soft, fine, good ripe fruit and very elegant. The palate is fresh, intense, well-bound tannins, beautiful acidity and red fruits, complex and very long, already good for drinking. 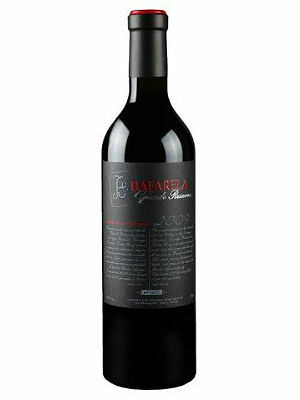 The Grande Reserva Bafarela 2011, with 15% alcohol, is very soft, elegant, has plenty of fruit and some freshness. In the mouth the same profile, excellent acidity, very ripe fruit, freshness, some spices and a very long finish. The year doesn’t show. Then it was time for the Grande Reserva Bafarela 2012, with 14% alcohol, a beautiful aromatic profile, some floral, very fresh. Soft notes of spices, bulky, good presence of ripe fruit, intense tannins and beautiful finish. A year that continues to surprise with beautiful wines like this. 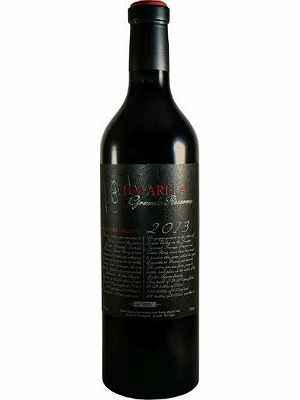 It ended with the Grande Reserva Bafarela 2013, the latest, with 14.5% alcohol. Very elegant, silky, ripe fruit, intense, hill plant fragrances. In the mouth it is very fruity, fresh, with the acidity well-linked with the tannins, good structure. A wine still young, evolving, and time in bottle is going to enhance it. The tasting was then followed by a lunch in that so welcoming environment. 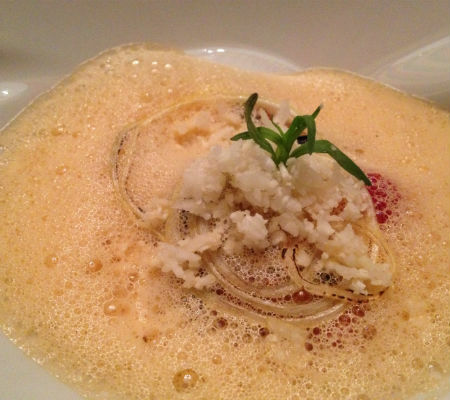 After one of the Chef’s appetizers we started by an excellent crab ravioli with celery and mushrooms, a very fresh dish that was very well accompanied by the brand new Bafarela Rosé 2015, full of freshness, dry, very good. Too bad there’s so few bottles of it! 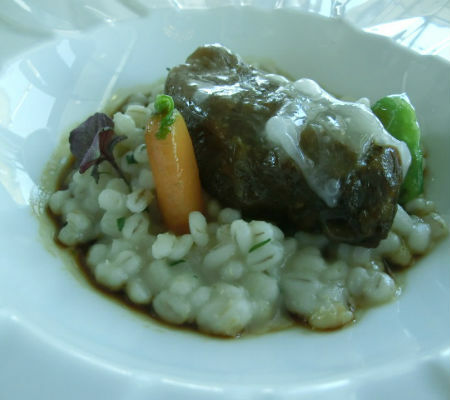 The we had Bísaro pork cheeks with French pearl barley, creamy, well-connected, really good. 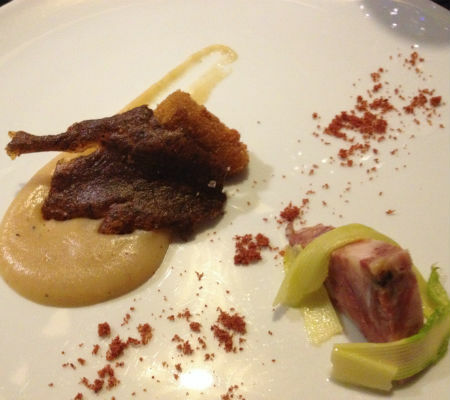 The harmonization was made with Bafarela Colheita 2014, young but intense, giving good replica to the pork. 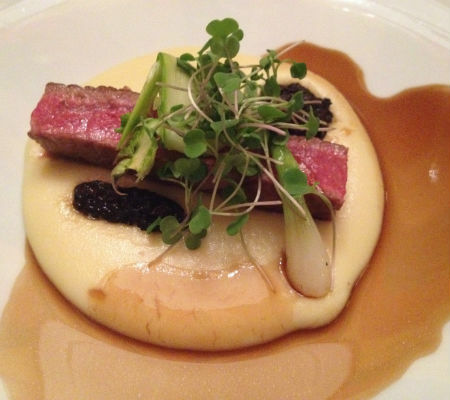 We then proceeded to the lamb of milk with Jerusalem artichoke and truffle jus, refined, aromatic, very tender and tasty meat, in the company of Bafarela Grande Reserva 2013, which we had already tasted and was up to the dish. 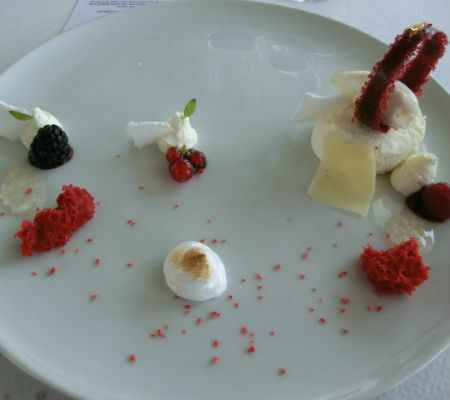 We had the dessert with this same wine – cheese and red fruits. The purchase of Quinta da Boavista in 2013 was the second major investment of Marcelo Lima and Tony Smith in the wine world in Portugal. 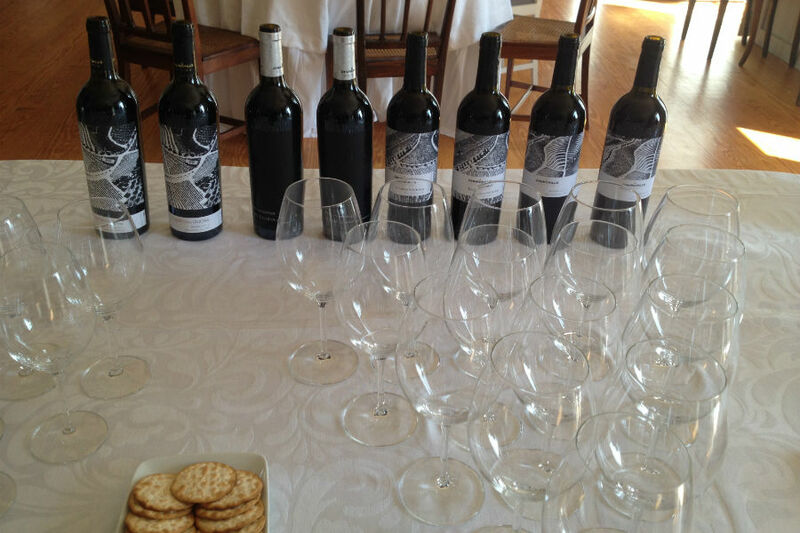 Now has come the time to present their first Douro wines. The presentation took place in the “Yeatman” and it was a commented tasting by the responsibles of the company’s viticulture and enology: Gonçalo Lopes, Rui Cunha and the French consultant Jean Claude Berrouet, with over 50 years of experience producing great wines in the world, and accompanied by his son Jeff Berrouet. This junction between Portuguese and French proved to be very appropriate, because there were complementary opinions and experiences. 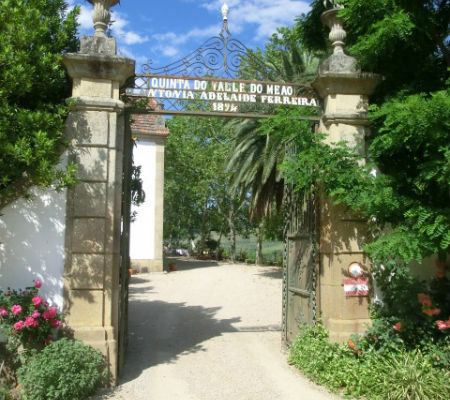 Quinta da Boavista has a remarkable history attached to the Port wine and it was a place of refuge for the Baron of Forrester, who lived there for some time. 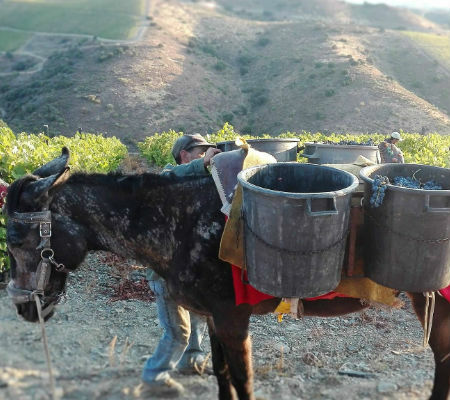 The terraces are very high, the vines are very old and very difficult to access, and they are worked with the use of mules, as has been done for hundreds of years. 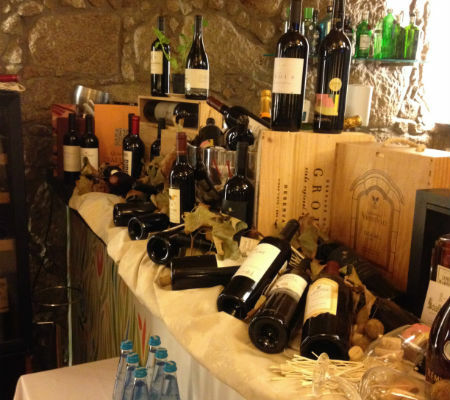 The “terroir” is amazing, providing the typicality that we so much enjoy in the Douro reds, associated to the most traditional grape varieties of the region: Touriga Nacional, Touriga Franca, Tinta Roriz, Sousão, Tinto Cão, Tinta Barroca and Alicante Bouschet, putting these red wines on a very high level. Berrouet says that wine is a magical product, delicate, that conveys the history of a region and that its mission is to give us pleasure when we drink it. It’s what they want with the wines that are being produced there, to transmit the sensations that lead us to interpret that region and in particular this Quinta. Every year they will bottle a monovarietal wine. 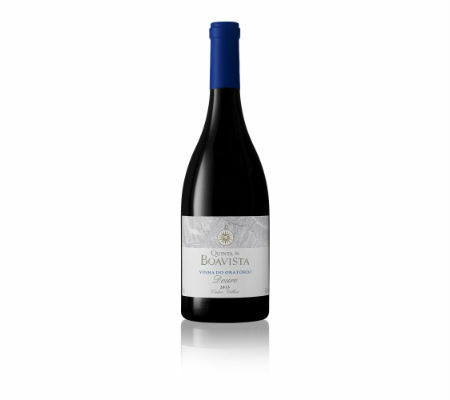 In this first harvest it was the Boavista Touriga Nacional 2013, a wine full of elegance, souplesse, with personality and a great aromatic expression. At the same time this wine is sober, with structure, very fresh and has a great acidity, it will be interesting to follow its evolution. 2,000 bottles were bottled and its price will be about €22. The combat wine will definitely be the Boavista Reserva 2013, a typical Douro in the glass, a blend full of elegance, intense, good volume, with everything in place. Beautiful acidity, slightly dry, sweet tooth, a gourmet wine, still young but promising of which were bottled 5,000 bottles and will cost about €40 each. Then they made two extraordinary wines from two very old vines, almost filigree, the Oratory Vineyard (Vinha do Oratório) and the Ujo Vineyard (Vinha do Ujo). 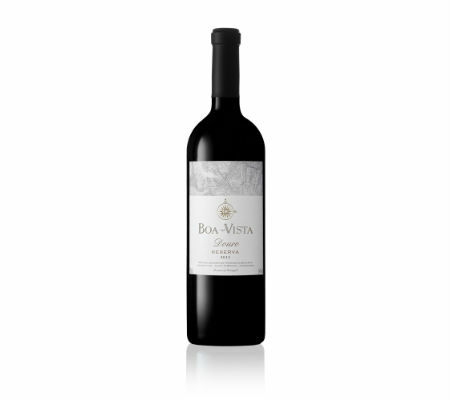 The Quinta da Boavista Vinha do Oratório 2013 is made from grapes from this vineyard that dates back to last century’s 30s, and is planted at between 70 and 160 meters with several sun exposures. It offers a lot of complexity, elegance, lots of ripe fruit, concentrated acidity and freshness, it’s an intense wine and still evolving, of which were bottled less than 1,000 bottles and will cost about €100 each. 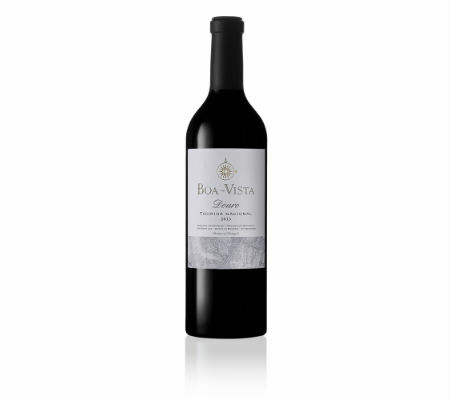 Finally, another fantastic wine, Quinta da Boavista Vinha do Ujo 2013. This vineyard is planted at between 150 and 200 meters providing a silky but authoritative wine, always elegant and with some fruit on the nose. Beautiful volume of mouth, good acidity, great structure, very ripe fruit, long and a great end. A meditation wine, of which there are only about 1,000 bottles, less than €100 each. Wines that tell us what the terroir of Quinta da Boavista is and that, as Jean Claude Berrouet said, comes down to four words: soil, climate, plants and man. 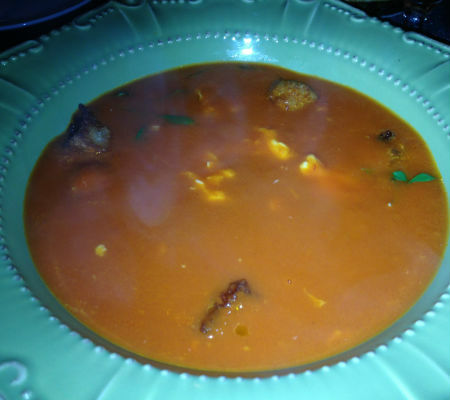 The wines were enjoyed during a dinner at the “Yeatman”, which had an amuse bouche consisting of four appetizers, then a set of crustaceans and their froth with curry and cocoa shoots. 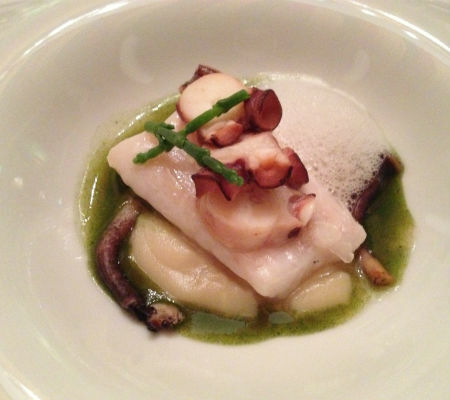 Then followed the John Dory, a set of sea flavors, including barnacles and octopus with glasswort. 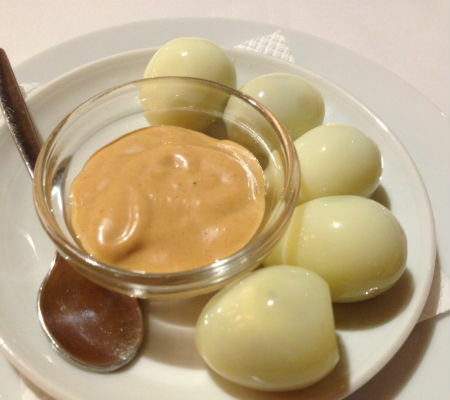 And finally the Marinhoa meat, grilled and accompanied by potato cream and spices. For dessert we had rhubarb cream with kaffir lime, rhubarb meringue and mascarpone cheese ice cream. 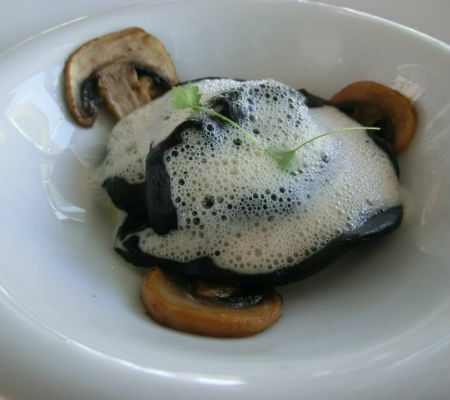 A nice battle between well-crafted wines and dishes. 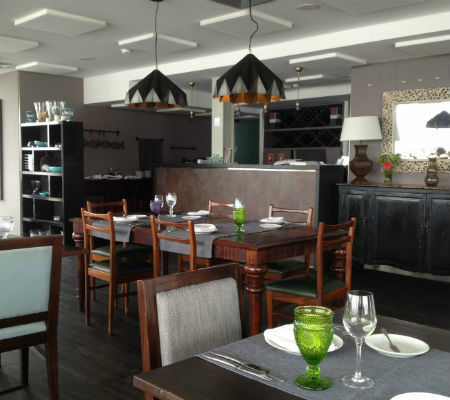 The next day we were summoned to the restaurant/seafood restaurant “Gaveto” in Matosinhos. 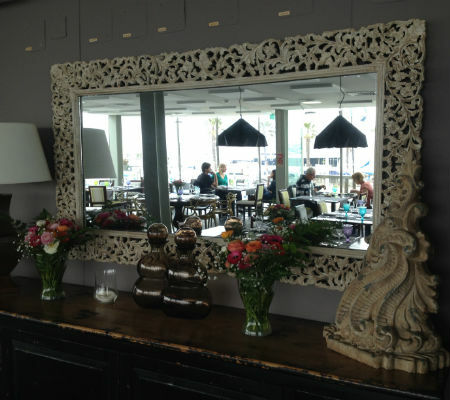 Introducing the new vintages of Covela wines at the counter of a seafood restaurant?! It’s true, it was really like that. It was different and fun. Within the counter were Gonçalo Lopes, Vítor Mendes and Rui Cunha, led by Tony Smith. Because the wine must also be served with humor. 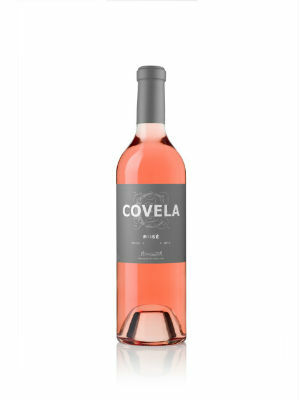 The first was the Covela Rosé 2015 made of Touriga Nacional. With the same flavor profile as before, extraordinary acidity, elegance and refinement. 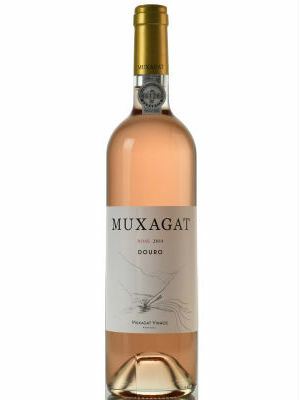 It is cool and dry, a gastronomic rosé. The Avesso 2015 is extraordinarily fresh, velvety on the nose, somewhat exotic. 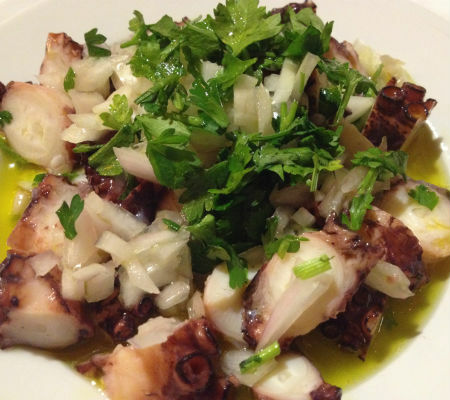 In the mouth the freshness persists to which joins a vibrant, amazing acidity, making it a gluttonous wine. 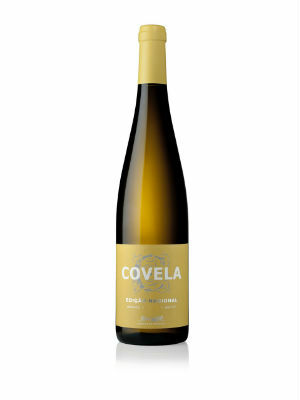 The Covela Arinto 2015 has the grape variety’s freshness quite evident, it’s persistent, very elegant, has some minerality, intense, tasty, with good volume, a healthy wine. Meanwhile, at the counter were already the vinaigrette fish eggs and spicy small sardines, followed by barnacles and santiaguinhos, only boiled, tasting like the sea. 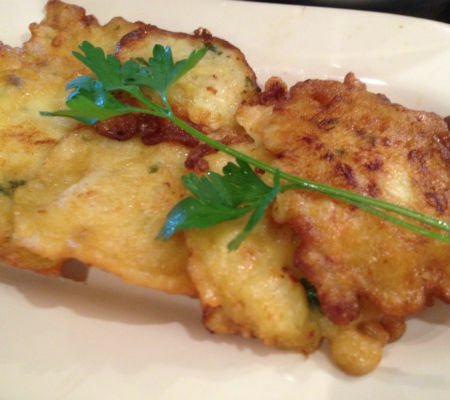 The zamburinhas, on the plate, were superb, full of roe. 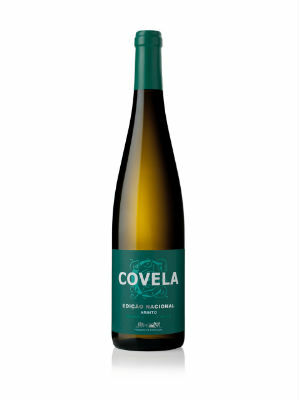 Then came the Covela Escolha 2014, with Avesso and Chardonnay, with refinement and elegance in the nose, silky, exotic, complex. Great freshness and lots of acidity giving it balance, a special wine, that made good company to a superb lobster rice, a tradition in “Gaveto.” Mountain cheese and sponge cake from Ovar to end with in the company of a very special Covela 2007 red, already a rarity. 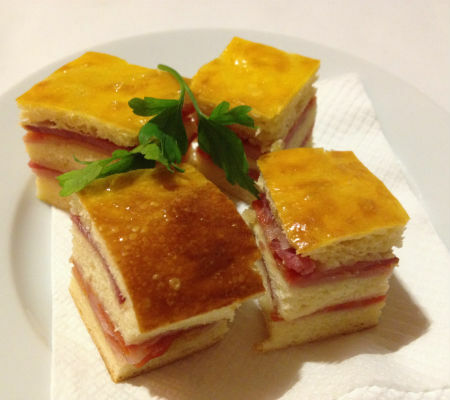 With the coffee or with more cheese and sponge cake, came two very tasty Covela’s grape marc spirits. One, made from only white grapes, is more aromatic, more floral and has 40% alcohol. The other, prepared from red grapes, is more powerful, more full-bodied and has 50% alcohol. Powerful!! 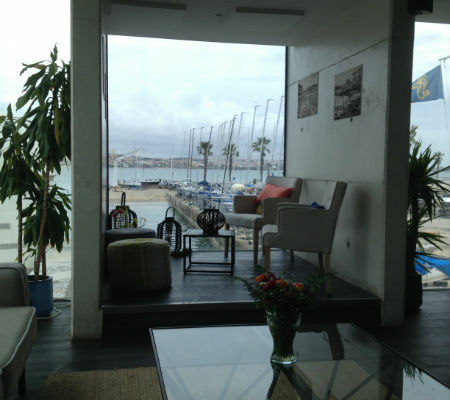 On the Cascais marina and leaning against the walls of the citadel, with a superb view over the bay, we find this wide place fully surrounded by in glass, and the effect is so beautiful that it almost seems like the sea goes in there. The décor is modern, airy, with some old elements and half a dozen sofas at the entrance that people can use while waiting for table or even to have some snacks and drinks before the meal. The tables are well set, with simplicity but with great quality. The service is in charge of young, friendly, helpful, and very professional people. One of the features of this fine eating house is that it opens at noon and serves uninterruptedly until midnight, be it snacks or a full meal. 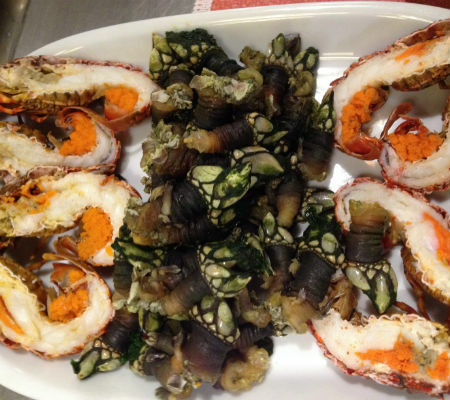 This is supported by a very well-equipped kitchen and a team of professionals led by Chef Pedro Mendes that has an extensive experience leading teams in this area. 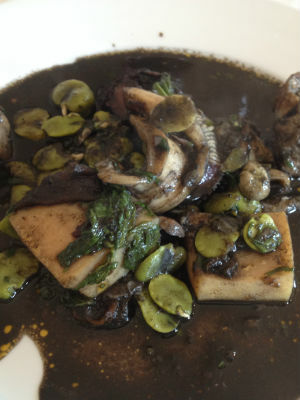 The Chef bets on a menu that consists mostly of sea products, including fresh fish and seafood, and even using algae that provide connections full of freshness, which taste like the sea. Over here some seasonal products are also served, like truffles, that I could recently experience during a very nice dinner. 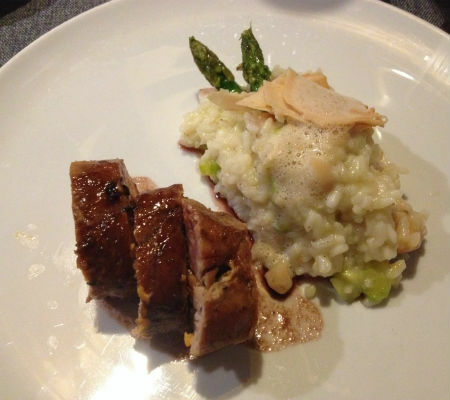 We started with the “montado alentejano” – head of xara (hog head cheese), acorn and truffle – followed by a creamy truffles’ rice and Alentejo pork’s tenderloin and flour sausage. 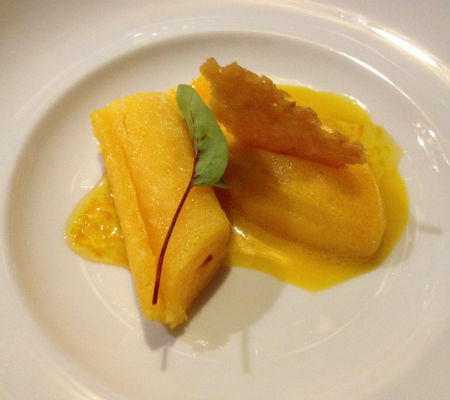 We ended the meal with five orange textures, very well achieved. 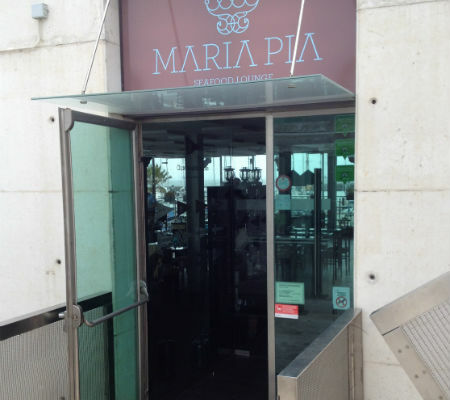 But let’s try some of the Maria Pia restaurant’s menu dishes. 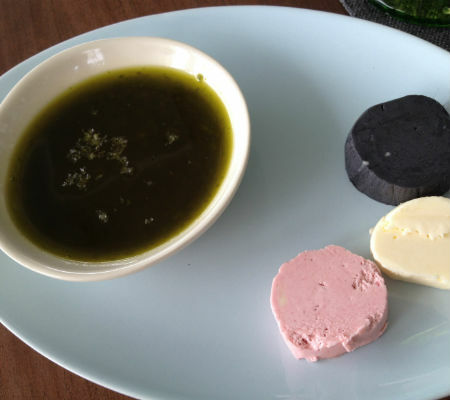 First, the couvert, featuring olives’ bread and homemade bread, and thin and crunchy toast to dip in the crushed coriander or to spread with normal butter, beet butter or butter with cuttlefish ink. A beautiful start!! 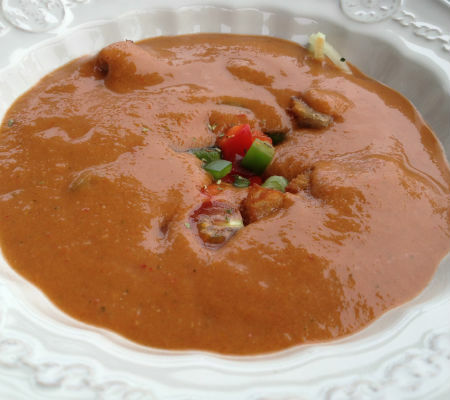 Of course the soups and broths couldn’t be missing: a creamy tomato soup with beaten egg and flavored croutons, a delicious soup of Algarve clams and a refreshing beaten gazpacho, slightly spicy with the tomato giving it a thick cream that wraps the other raw vegetables. It all tasted very good! 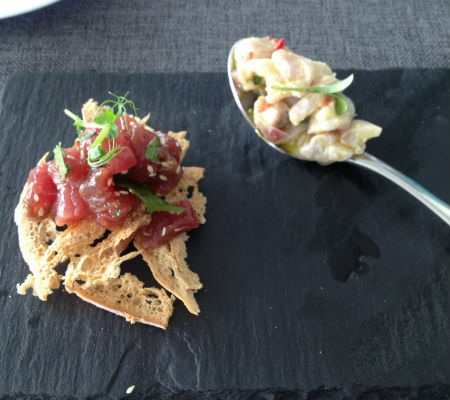 As starters we can enjoy worked oysters tasting like the sea, delicious Atlantic crab mouths with lemon emulsion, well-seasoned sea bass ceviche and tuna tartar with sesame and ginger, and tuna pataniscas with soy sauce. 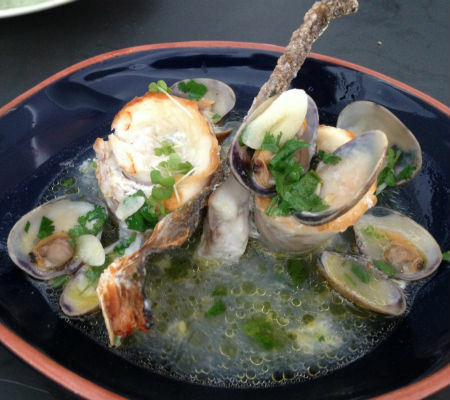 Or a platter of clams with lemon and coriander, to eat by hand and dip the bread in the sauce, a treat. 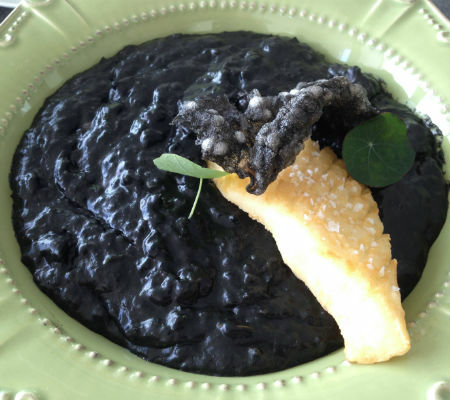 Then we had a black bread soup of seafood with fried cuttlefish, a beautiful match. 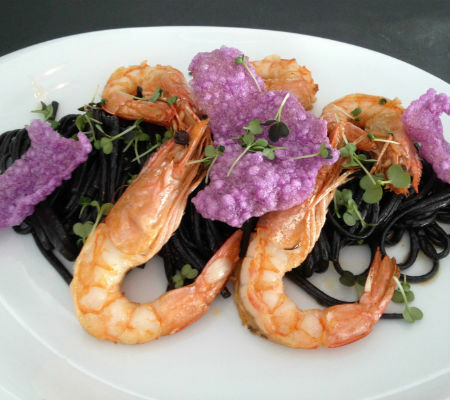 The extra hot spicy shrimp over black linguini and the fried sea bass with algae risotto. All delicious. 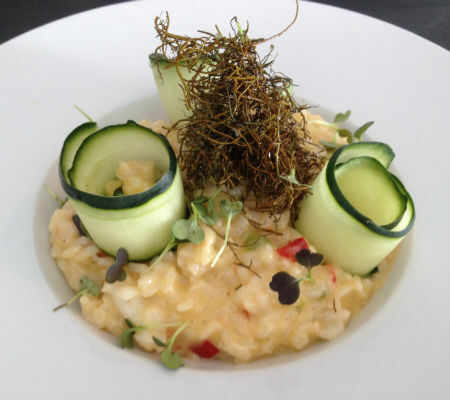 The creamy cod risotto is also an option, as is the Algarve cockle xerém with squid in tempura or an incredible rice with coriander with bass à Bulhão Pato. All great! To end perfectly we had braised tuna, beet cream and sautéed vegetables. The tuna was on point with a fantastic texture, the assorted vegetables were very well worked. 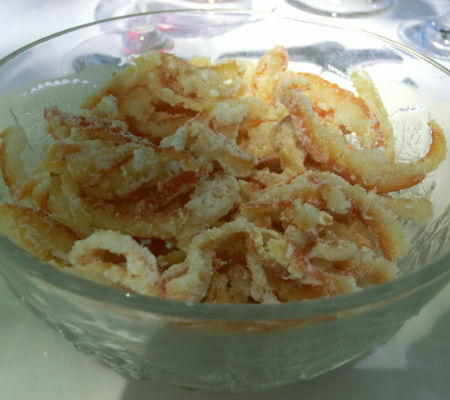 In the terrace, we did not withstood a Preguinho with excellent meat in olive bread and garlic mayonnaise, tender and tasty, really good… There almost wasn’t space for the apple crumble with ice cream. The wine list is still evolving, and there’s a promise of many new features, the most important of which is a terrace in a gazebo above the restaurant with very fresh seafood and sparkling wines, white wines and some rosés, in the company of that landscape. 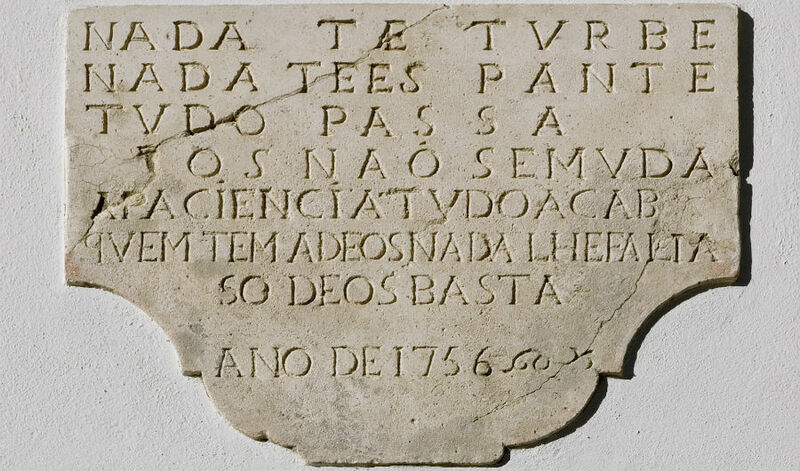 This Ribatejo property has almost 300 years and it’s said that Pina Manique may once have lived over there. It was bought by the businessman Canas da Costa. For his daughter Sílvia, an architect, it was love at first sight. 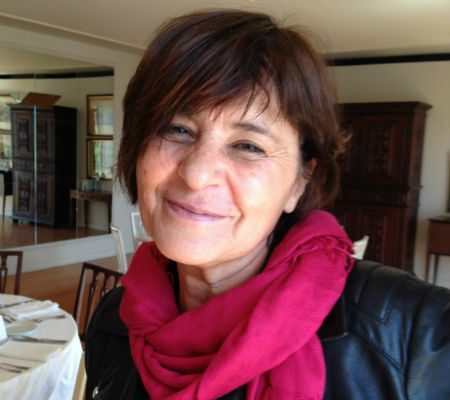 Besides the impeccable restoration of the manor-house, where now runs a beautiful rural tourism with 11 suites, Sylvia fell completely in love with the vineyards. 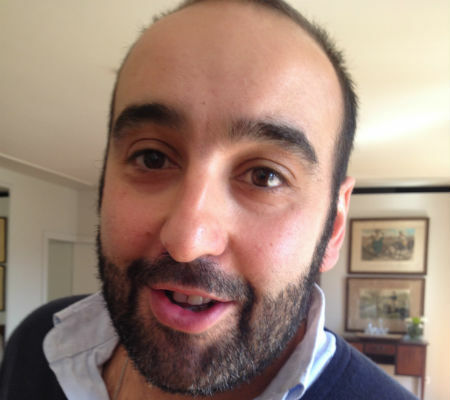 And thus was born a successful wine project by hiring the winemaker Jaime Quendera and his tremendous experience. 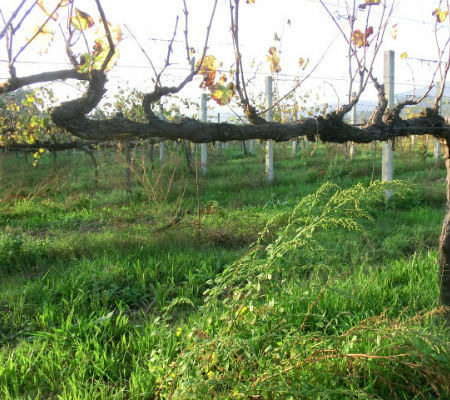 The vines are aged between 15 and 25 years, with indigenous grape varieties but also some from other regions, and even some foreign ones that have adapted to that soil and climate: Arinto, Tamarez, Trincadeira das Pratas, Tincadeira Preta, Touriga Nacional, Tinta Roriz, Merlot, Syrah, Cabernet Sauvignon and Alicante Bouschet. Thanks to the predominantly clay-limestone soils with a big influence of the Tejo river water, which used to invade the margins with its ancestral floods, these wines acquire not only acidity but also some minerality that makes them desirable. 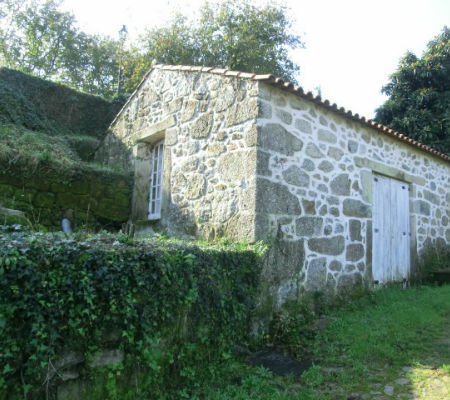 In Rural tourism they also throw events where the house’s wines are drank alongside meals made in the huge and well-equipped kitchen or prepared by a friend of this house, Mr. Afolfo Henriques, the well-known man from the village of Maçussa. 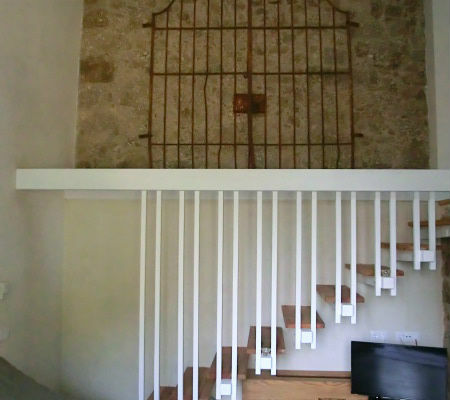 The 11 suites are all different. On some of them the existing spaces were recovered and have many pieces of furniture that were also recovered, beautiful. The central building, square, has huge yard with shady trees providing a beautiful effect. 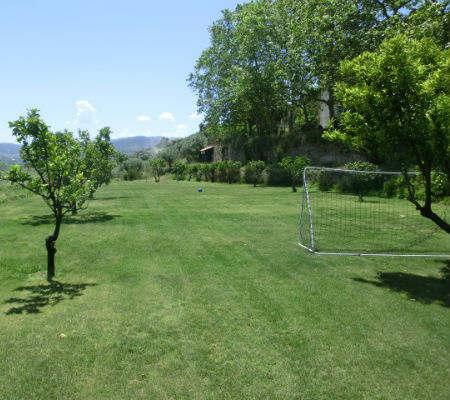 Around the house we find the vineyards and some olive trees shaping the landscape of the whole Quinta. In the Quinta’s set of buildings we find the cellar, small, simple but well-equipped, including the barrels’ room that are essential to age some of the reds that we all enjoy. 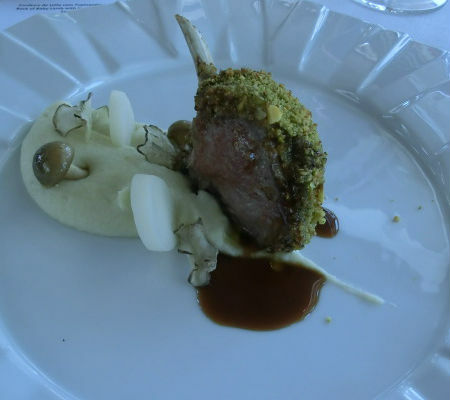 This time I’ll write about a meal that culminated with the presentation of the Quinta da Lapa’s new vintages. 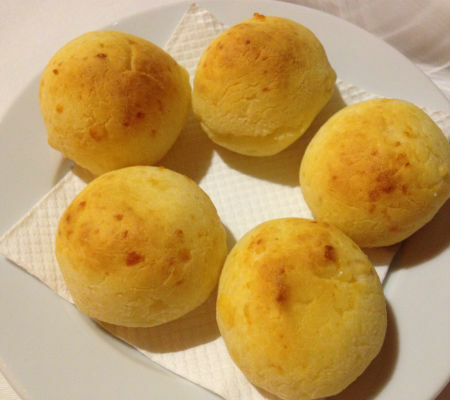 First the bread, from Maçussa that Adolfo Henriques himself bakes, crispy outside and fluffy inside, tasty, irresistible. 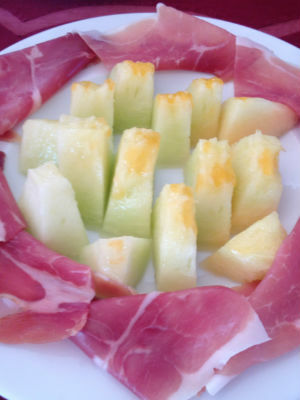 Then we had some snacks: melon with ham, tasty and fresh, exquisite cod roes with dried tomato, smoked salmon, velvety with a sophisticated taste and, of course, the Maçussa’s chèvre cheese, both natural and breaded with arugula and jam. Wonderful. 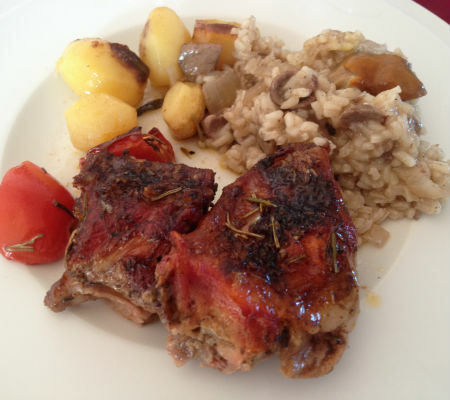 The main course was a delicious roasted kid with rice, mushrooms and roasted potatoes. 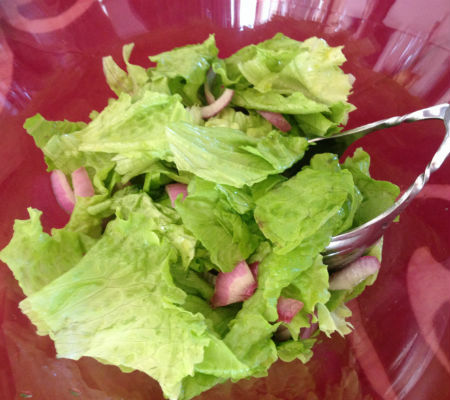 On the side a simple but superb salad of lettuce and red onion. The meal ended with a chocolate cake in good company, a true delicacy. Then we tasted Quinta da Lapa’s new vintages, starting with the sparkling Quinta da Lapa Bruto Natural made with the Arinto grape variety. 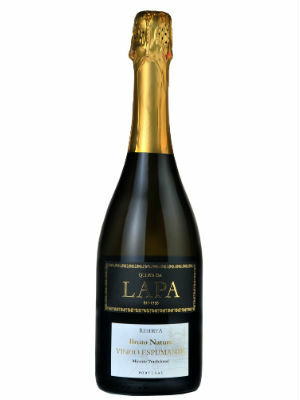 Great freshness and elegance, the acidity always very present, a beautiful sparkling wine. 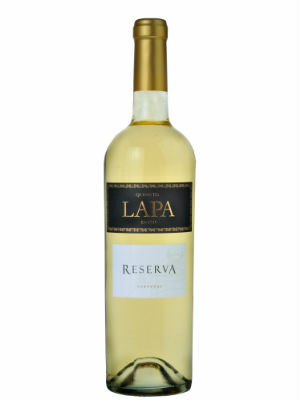 The Quinta da Lapa Reserva White 2014 made with Arinto and Tamarez is very fresh on the nose with some tropical and citrus notes. Mouth full of freshness and balanced acidity. There are several monovarietal wines starting with the Quinta da Lapa Touriga Nacional 2012, a grape variety that adapted quite well there. Very aromatic, floral and elegant intensity. The palate is persistent, intense, with very good fruit, good acidity and a long finish. 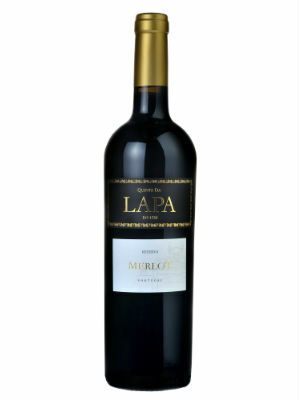 The Quinta da Lapa Merlot 2013 shows itself authoritative, fiery, with ripe black fruit and some chocolate notes. Beautiful volume, well-married tannins and intense acidity, a very balanced set. The Quinta da Lapa Syrah Reserva 2012 has black fruit aromas and some spices. It’s complex and intense. In the mouth it has large volume, it’s powerful but balanced at the same time, with silky tannins and a beautiful finish. 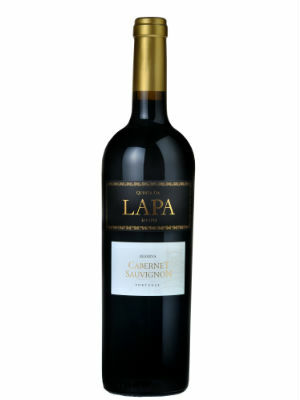 Finally, the Quinta da Lapa Cabernet Reserva 2012 with complex aromas of wild fruits, plants of the hill, some vegetal notes and spices with much elegance. In the mouth appear very ripe black fruits, an excellent acidity, well tamed tannins. Very complex and intense. 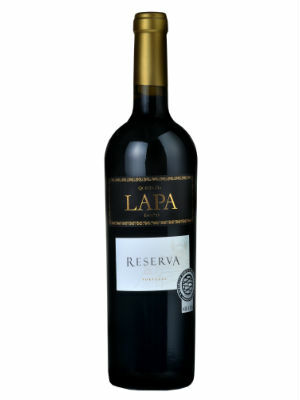 The Quinta da Lapa Reserva 2011, perhaps the most complex of all, has very ripe fruit aromas, spices and tobacco and chocolate notes. In the mouth it is very harmonious, persistent, silky, with a long finish, a wine full of finesse. Then came the two special wines of this Ribatejo house. 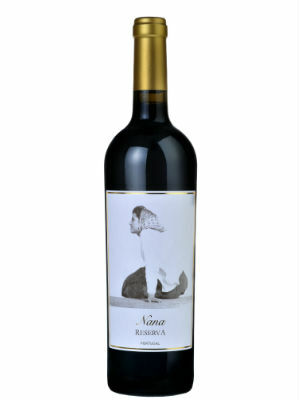 The Quinta da Lapa Nana Reserva 2011 is the producer’s heartfelt tribute to her mother. It comes with plenty of fruit, some spicy notes, very fresh. The palate is very elegant, persistent, velvety, with red fruit and some floral fragrances and a long and steady end. It’s a Douro wines production company that exists only for 35 years now, it was founded in 1981 by John Graham, but has already reached the age of majority, producing table wines and high quality Ports with its own characteristics and a stiff image that leaves no one indifferent. In 1999, Churchill’s bought Quinta da Gricha, in the Ervedosa area of the Douro, near S. João da Pesqueira. We’re speaking of vineyards with some altitude, some of them very old and with a huge range of grape varieties, and, a few dozens give rise to wines full of complexity, elegance, freshness and acidity, which are only possible with vineyards with that location. 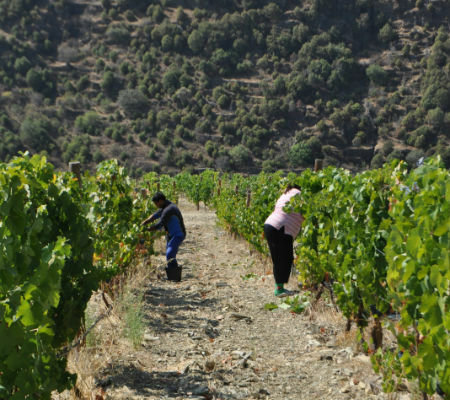 For the white table wines they buy grapes on the other bank of the river, in the region of Murça, benefiting, in addition to the altitude of some granitic soils. In Vila Nova de Gaia have a nice visitors’ center, resulting from the recovery of old facilities, which runs a space for events and a sales shop, but where you can also enjoy vats of large volume where steadily age some of the company’s Port wines. 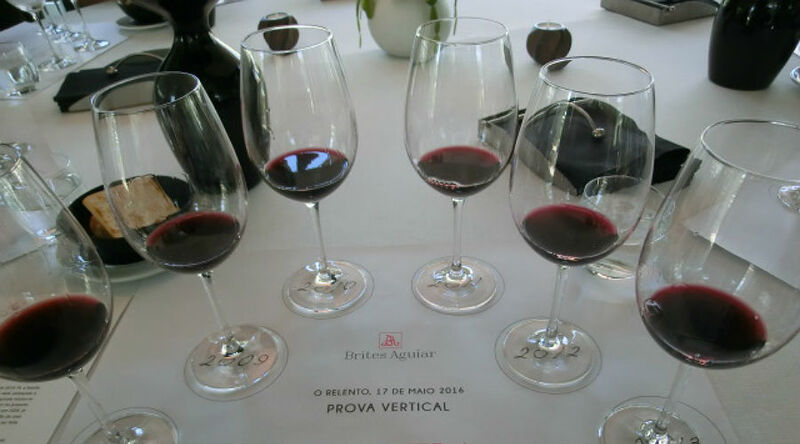 It was there that they recently presented a new red wine to the press, Quinta da Gricha 2013. 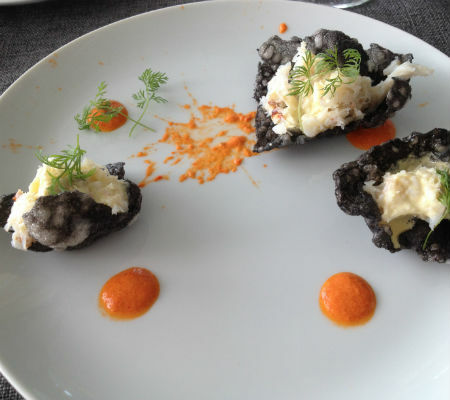 And it was during an informal lunch prepared by Chef Victor Sobral. Before that, the company’s CEOs, John Graham and Maria Emília Campos, and the winemaker Ricardo Nunes, made a presentation of the company and the wines we were tasting, one of them being the new red wine. In the upper room of this delightful space in Gaia, with a superb view of the riverbanks and the D. Luís Bridge, we tasted seven wines, starting with the curiosity of a rosé of which only 2,000 bottles were made, with screwcap. A young wine, very fresh and with excellent acidity, with no great pretensions, but very pleasant, even to join some simple snacks. Depletes at a glance! Then it was the white, composed by Rabigato and Viosinho, very elegant, full of freshness and with a persistent acidity making it very gastronomic, a beautiful wine. The first red followed, the Churchill’s Estates 2013, an entry range consisting of Touriga Nacional, Touriga Franca and Tinta Roriz, elegant, simple and balanced. The Churchill’s Estates Touriga Nacional showed itself full of structure, fragrant, large, very elegant, with excellent acidity, very characteristic, a beautiful red. Then it was tasted a powerful Churchill’s Grande Reserva, resulting from old vines, with many many grape varieties of the region, from various properties, giving it complexity, depth, a mouth bulky and exotic at the same time, a wine to last for many years in bottle. Then came the new wine, Quinta da Gricha 2013, also originating from very old vines, but this time only from Quinta da Gricha, which shows itself as the ultimate expression of this Quinta’s terroir. 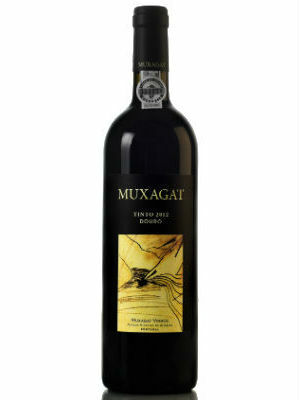 Very mineral, with notes of black fruits, full-bodied, with a fantastic and lush acidity, a great red wine from the Douro. Lastly, we tasted the Port Quinta da Gricha Vintage 2013, a classic vintage full structure with notes of clove, blackberry, fig, black plum, dark chocolate and orange peel, very complex. Bulky and with an amazing acidity, very fresh, spicy notes, blueberries, it’s still young but will be very interesting to taste it in a few years. 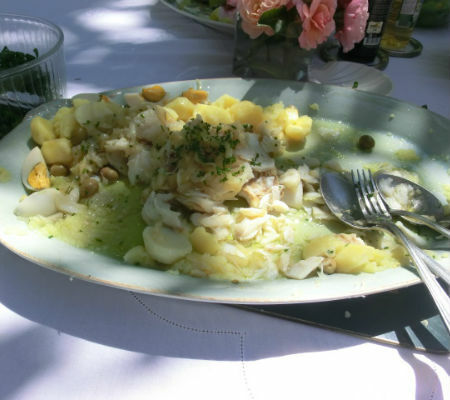 Then followed a lunch served by Chef Vitor Sobral, which began with a marinated sea bass with vegetables, very fresh, delicious, which held up well with a surprising Dry White Port, full of freshness and slightly spicy. 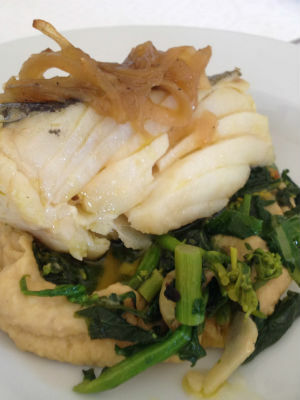 Then he served us a codfish piece on a greens bed and grain purée with caramelized onions, very well done, and it matched very well with the white wine. 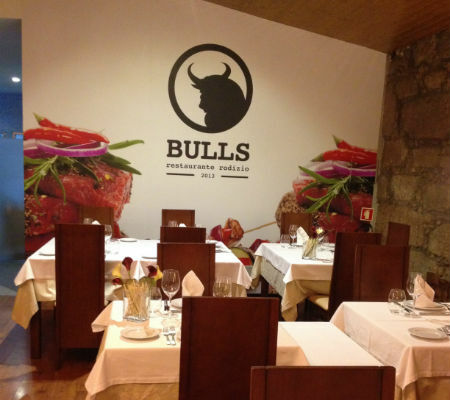 In Matosinhos, in a space that was already home for several restaurants over the past two decades, an investor decided to create a restaurant that is mostly dedicated to the much popular and traditional Brazillian Rodízio (all-you-can-eat). – Bulls. Setting off from facilities with a very strong presence of granite rock they decided to keep that rock beauty effect and added wooden slats to the floor and the ceiling. The huge background wall that has the restaurant’s name is white. The counter is large and holds some of the wines that compose the long wine list, which complements well the overall quality of what’s served. The room is big but cozy, the tables very are well-set and have everything needed to enjoy a nice meal. 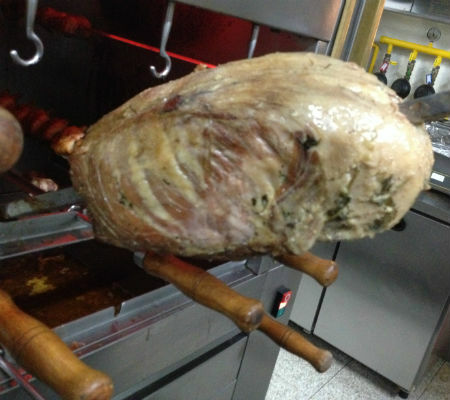 This is a rodizio restaurant but the products are of great quality starting with the meat types that are used. The service is professional and in charge of someone that already works with this kind of menus for many years. Back to the beverages. 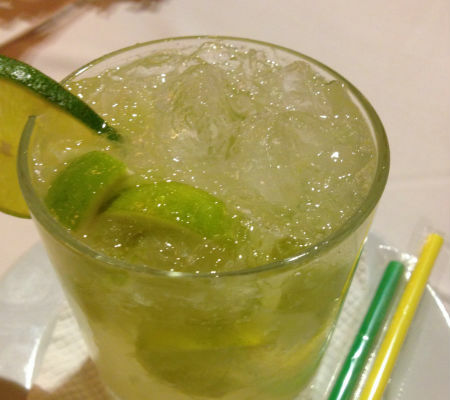 The much popular caipirinha had to be present and I must say it is very well prepared. 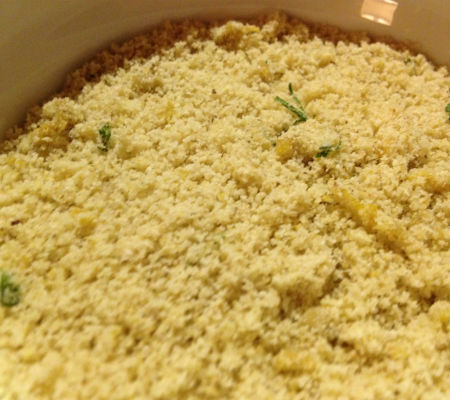 But, once again the difference lies in the great quality of the aguardente and cachaça used. 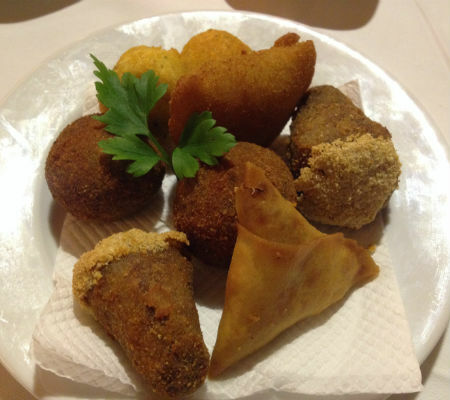 Already on the table and to join the first caipirinha came quail eggs, fried onion, tasty and fluffy cheese balls, bola de carne, codfish balls, rissoles and croquettes, and a beautiful octopus salad very well-seasoned. 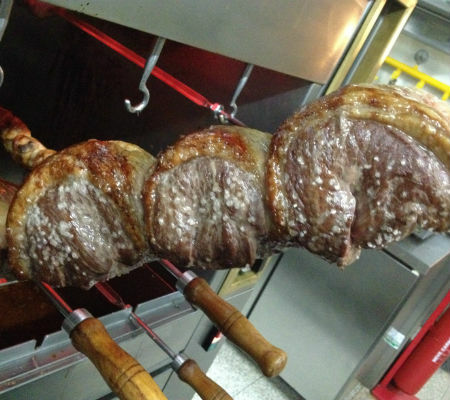 The natural choice of the next thing to eat was the rodizio, which started with the traditional chicken drumsticks, linguiça Toscana and steak with cheese. Then it was time for very crispy french fries, farofa (a toasted manioc or maize flour mixture), and loose dry rice to match the creamy black beans and the well-seasoned cabbage Mineira. In the kitchen several meats were still being worked, cooked in live fire: hump steak, rib, sirloin, tri tip and filet steak (in this case the normal version and the garlic version, both delicious). And so it began the festival of fantastic meats in long iron skewers, sliced at the table with very sharp knives in very thin slices. To those who like it there was a bit of chili sauce to liven up the meat taste. And we ate once, and then again, and again and again until we were full and satisfied. In a small estate in Minho that dates back to 1710, Pedro Araújo, great-grandson to Adriano Ramos Pinto, has been developing a project for the production of white wines in the valley of Lima river, which has been building a reputation for higher-quality wines. Thanks to a unique terroir, in a property that includes banks on the river Lima, with excellent grounds and an excellent exposure to the sun, he has been developing vineyards on this land, which are mostly of the region’s ruling grape variety, Loureiro. It even included some Arinto variety, which was bottled in 2005, but the motorway that links Ponte de Lima to Arcos de Valdevez cut off those vines. He has also been planting a few other vines and will soon replant a little Arinto. In total, he owns 30 hectares of vines, 12 of which are biologically produced. 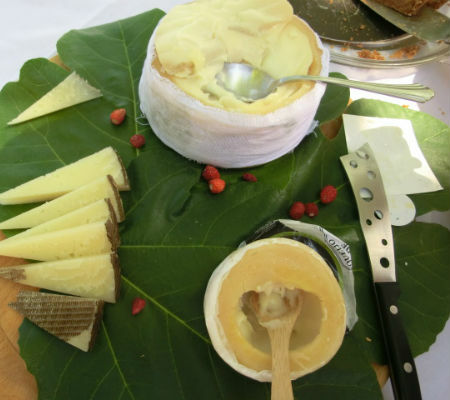 The first Ameal Loureiro was made in 1999, and in 2000, the Ameal Escolha emerges, which was the first Loureiro to be fermented and to have aged in a cask. Later, in 2002, he produced his first sparkling wine, which was only launched in 2009, and in 2006, he produced another sparkling wine that will only be released in 2016 after having aged for 10 years. In 2007, the first Special Harvest emerged, a late harvest that only filled 700 half-bottles. It was produced, once again, in 2010, 2011 and 2012, and there is an expected production for 2015. 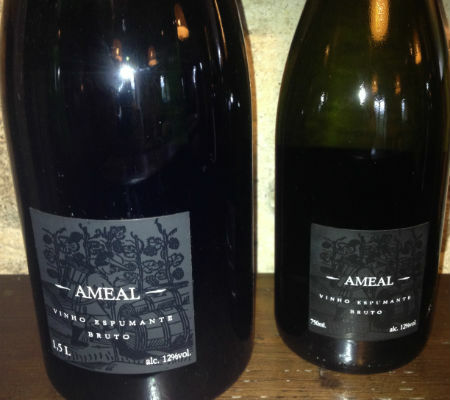 Closing the circle of new products, in 2011, it was time for the first Ameal Solo, which is a natural wine, after 10 years of biologic agriculture. A tribute to the grounds and to the life in them. It was launched in 2013, and was reproduced in 2014, already in the market, and it’s another wine to quickly run out. 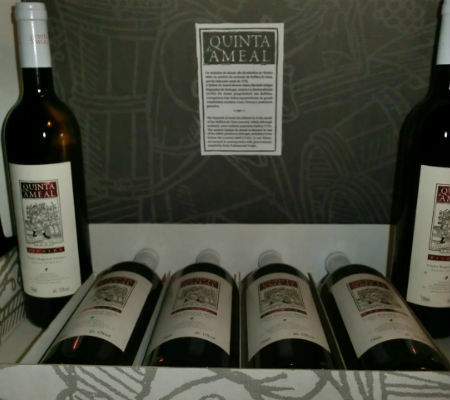 Quinta do Ameal, produce about 60,000 bottles of wine a year, exports them to 15 countries, among which is Australia. 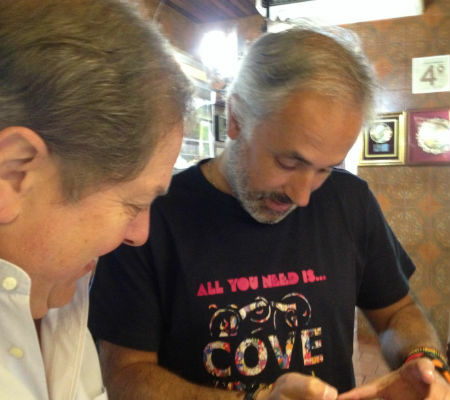 Pedro Araújo has successfully brought them to renowned restaurants, some with Michelin stars, the result of a very complex job that includes many trips to several countries, to markets, and to festivals. 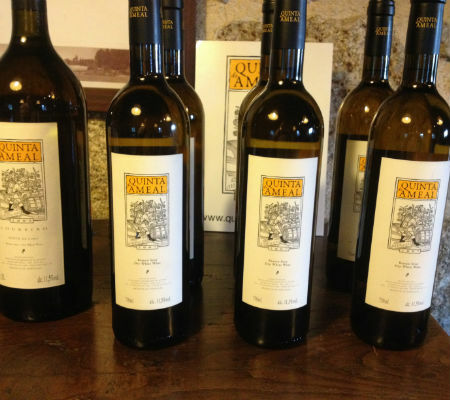 The wines from Quinta do Ameal are white, with a very characteristic profile, with fruit, but not too exuberant; complex and iconic wines with excellent acidity and enormous minerality, captivating wines that captivate you and that you look forward to having. Although these are white wines produced in green-wine region, that does not make them strictly hot-weather wines; much on the contrary. 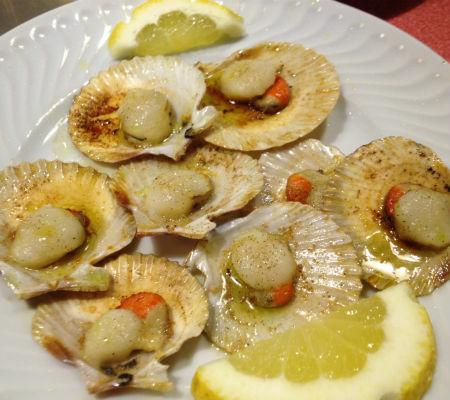 They are gastronomic wines that can be enjoyed in the summer, at a very cool temperature, but which are also nice in the winter, for example, with seafood, oven-roast fish, and even a decent meal of codfish. Pedro Araújo knows well hot to transmit it, how to get it on the market. 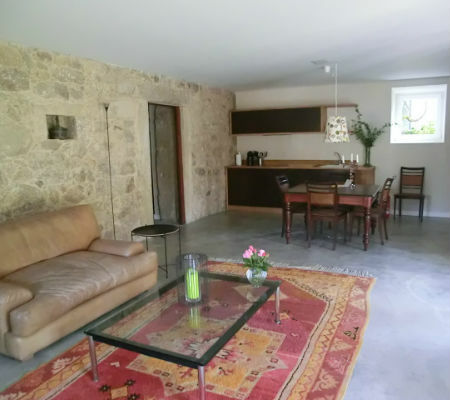 He has recently decided to invest in rural tourism, having enhanced the estate’s natural beauty and having restaured many houses of many sizes. 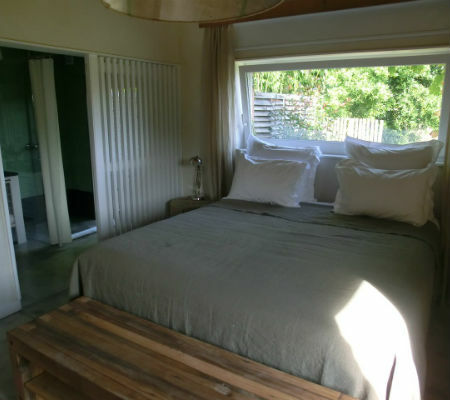 Every house has an en-suite, especially the biggest one, which includes three, and a huge living room that is also used to serve breakfasts and several other meals, as well as wine tastings. Every house offers free powerful wi-fi, and interestingly, they also allow access to many radio channels from around the world, with a choice of music genre for every taste. The homes have refined details, based on many materials from the estate itself, from fallen or chopped-down trees, even old doors and gates, which are now used for a different purpose, and in extremely good taste. The comfort factor will always be there, all about. 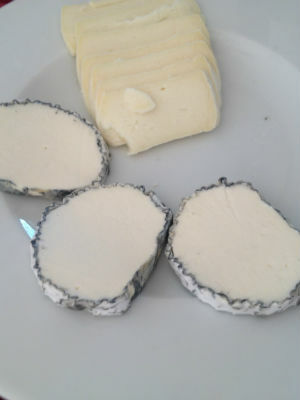 When possible, the breakfasts include natural products from the estate. 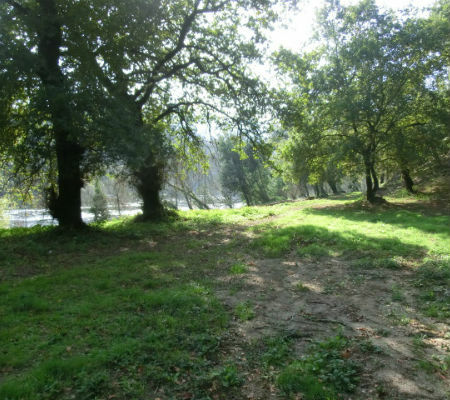 With capacity for 11 people, you can take a stroll round the property, about the vineyards or along the river, and there is even a pathway that connects the estate to Ponte de Lima, a few miles away. 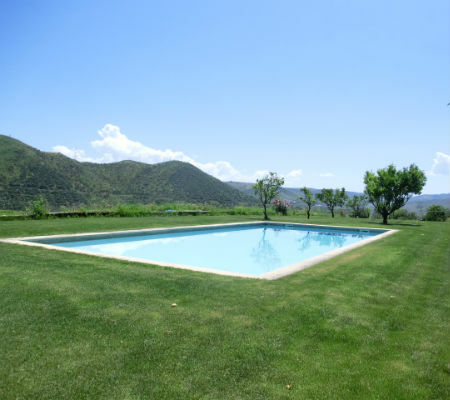 The pool is very popular when the weather is good, where you can enjoy some appetisers and cool drinks, which include the estate’s wines. 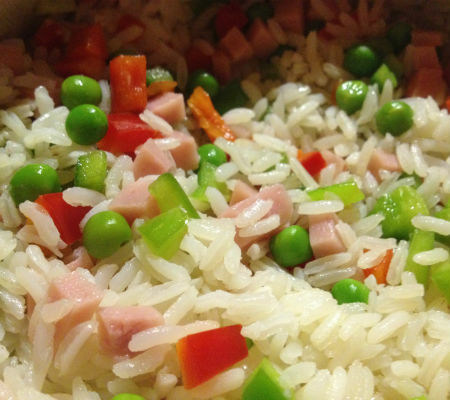 Entire meals of various types can be ordered in advance. 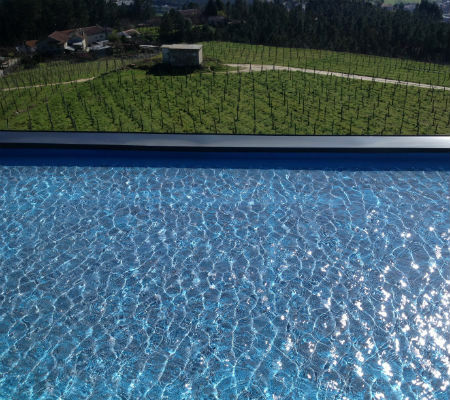 Pedro Araújo has created a modern hotel unit for wine tourism in the middle of Minho. 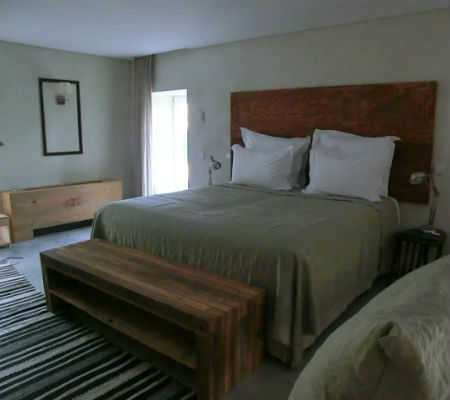 Quinta do Ameal – SOC. AGR. S.A.